The Hotel plot area is 23546 sq m (Approx 5.8 Acres), Site is located at Plot No. H-1, Institutional Green- I, Greater Noida City, Dist. Gautam Budh Nagar, U.P. 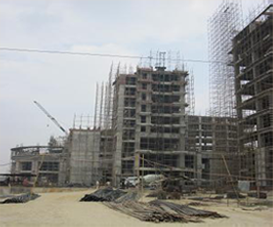 The hotel site location is well connected with Delhi & NCR by Greater Noida Express Way. The site surroundings are having existing network of well established Arterial & Sub Arterial Roads. 3rd Floor, 12, Community Center Saket.